This blog post has been a long time coming and I apologise millions to all of you asking where this one was! My love for the Cocoa Brown range has been a strong one now for quite some time. You may know that their Instant Bronzing Gels and 1 Hour Fake Tans are up there with my favourites and recently I’ve been branching out with trying some more of their products. Latest on my hit list was the Cocoa Brown Golden Goddess Dry Oil and my god, look at that beauty! It’s the prettiest thing I’ve ever seen and something that honestly I was scared to use at first, but since I’ve been having a little play around I have become absolutely smitten with it. 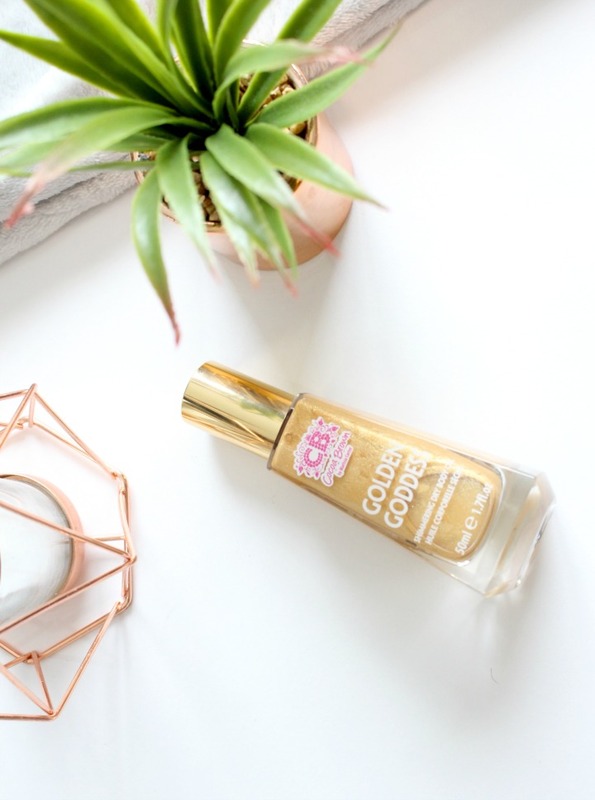 A bit of a wondrous product with it’s many talents, the Cocoa Brown Golden Goddess Dry Oil is a new favourite for using as an almighty highlight, or for spicing up my legs a bit on a night out! Before this, I hadn’t tried any dry oils like this but I have to say I am definitely converted now. 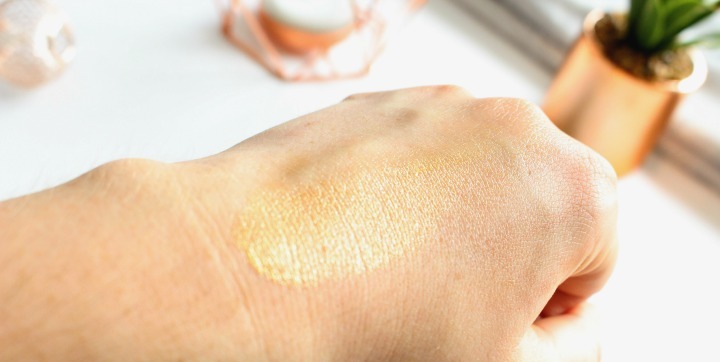 The shimmer on this product is just something else but when you blend it right, it can look absolutely amazing on my skin, even if I do say so myself. After hearing that this is worn by none other than Khloe Kardashian I knew it was going to become something I was obsessed with. 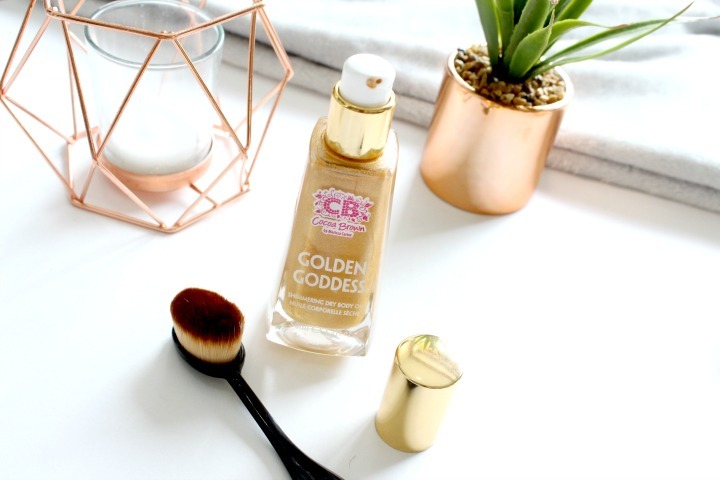 With the Autumn now making an appearance, it won’t be long until the party season is with us again and this dry shimmer oil from Cocoa Brown is definitely going to be among my go-to products for being party perfect. For the best application, I’ve been using this oval head brush that I bought for something ridiculous like £1.99 off of eBay. It’s really lovely and dense and blends in my Cocoa Brown Golden Goddess Dry Shimmer Oil extremely well. One pump of product is enough to go a long way with this and I love to blend it in circular motions along my shins and across my cheek and collar bones to really make a statement with my tanning. I was a little afraid this would look too fake with it being so shimmery, but honestly when blended correctly it looks absolutely stunning on the skin and is perfect for holiday or a night out. Like I said before, I can’t wait for the party season to slather myself in this stuff!! Okay, well slather might be a bit of an exaggeration, but you get the idea! Cocoa Brown have also recently released a Rose Gold edition of this product too and I can’t wait to get my hands on that to see if it looks just as good on my skin as the original. You can pick up either of these products online, in Superdrug and even in Primark stores here in the UK! Next Post Clarins Feed 10 Gift with Purpose; Responsible Beauty with Clarins!